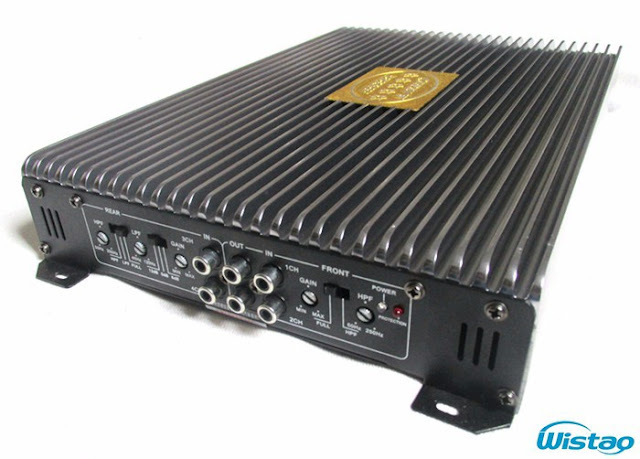 You will be happy after you buy a car audio amplifier, but it may be a little trouble when you set up or adjust its tone and gains after you connect it with the car speaker units according to the diagram. The article might help you set up it successfully after you read it. It is provide a general guide or tips, of course, you also shall refer to the manual. 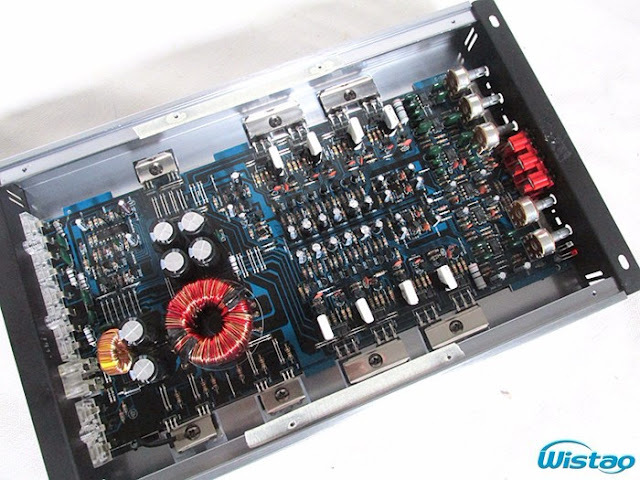 Contrary to popular belief, car audio amplifier gain controls aren't volume controls. They are input sensitivity controls and are intended to allow the user to adjust the sensitivity of an amplifier to match the output voltage from the head unit. This is needed in car audio because there is no standard for head unit output voltage. The purpose of properly setting the amplifier gain is three steps. First and most importantly, it is to allow the amplifier to reach max output when the head unit volume is at max without causing the amplifier to clip. Secondly, gain can be limited to prevent over-powering your speakers if the amp can put out more than the speakers can handle. Third, gains can be used to help balance a system, meaning adjusting the relative output levels between amplifiers so that they are operating at the correct levels for any given head unit volume setting. This guide is primarily aimed at addressing the first: achieving max output without clipping the amplifier. Here are a few things you'll need as below. You need ear plugs or muffs while setting gain as the system will be operating at high output levels. Hearing loss is very quick as sounds become louder, and you really need to protect your ears because building a good sounding sound system will be a waste of time if you can't hear it. Also since the output will be high while gain is being set you should perform this in a location and at a time when it won’t disturb other people. You need a CD recorded at 0db reference level that contains various test tones. 50-60 Hz is good for setting subwoofer levels and 1000-1500 Hz is good for setting main stereo amp levels. 1. Fader, tone controls, loudness/expansion, etc. Fader and balance controls should be set to “normal” or zero or “in the middle.” Loudness and bass boost should be OFF and all EQ set to flat. Many amps have outboard subwoofer volume controls and head units have dedicated internal subwoofer volume adjustments. These should be set to MAX. 3. Set all amp gains to their lowest point before starting. This is usually full counter-clockwise. If your amp has a selector switch for different input sensitivities, start by setting it to the highest setting. 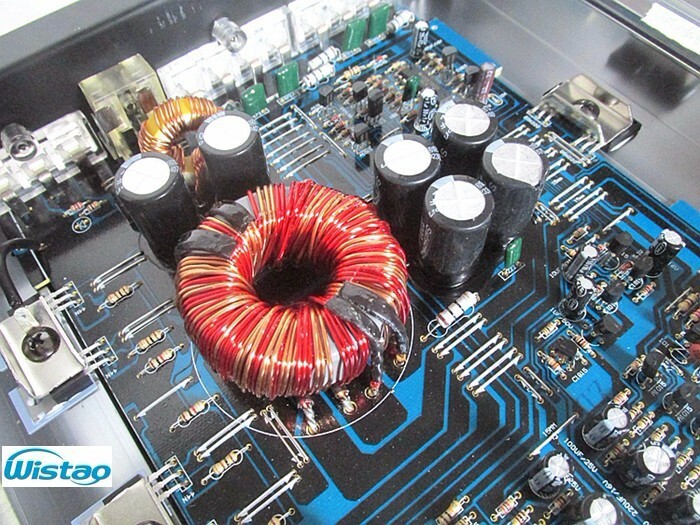 These are typically expressed in voltages, for example .2-1v, 1-3v, 3-8v. Start with the higher numbers (ex. 3-8v which is the lowest sensitivity). If you can't get the amp to clip at those settings, try the next one down until you find the clipping point. You can disregard generally what the markings themselves say since there's no real standard for marking them. Never trust your system's well-being to those arbitrary numbers, they're just there for reference and are best ignored. 5. Work with one gain at a time. For example, if you have both L&R gain for your front speakers, you'll set each side separately. If multiple amps, unplug (remove the signal from) all but the amp you're working with. 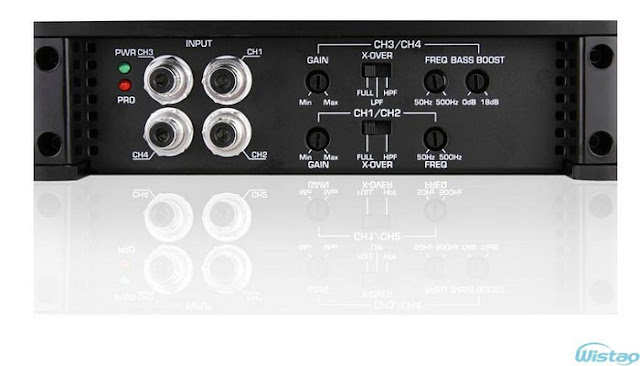 If it’s a 4+ channel amp, typically you'll have only a single L & R gain, so treat it like a 2 channel. If it has multiple gains adjust each one separately. After you set up them below, Now you can test it, the procedure as below. Put on your hearing protection and start your car. Select a test tone that is in the pass band of the amplifier channel you are setting. For example, if it’s a subwoofer amp select something audible below the subwoofer LP crossover setting. We like to use 60Hz. Set your CD player on its lowest volume setting and play the track in repeat mode. Slowly turn up the head unit volume and you should begin hearing the tone. Keep turning it up until you can hear the tone change. It will become “sharp” sounding and is an obvious change. This indicates the head unit preamp is now clipping. Note the volume level and slowly turn the head unit back down until the tone changes back to its original sound. Note this volume level. If the head unit clips at below its max level, you should NEVER turn it up past the point where the clipping begins. If the head unit never clips, this is good and indicates you have a quality preamp. Set the volume control to about 75% or 80% of whatever its max might be. Turn off the system and disconnect all the RCA cables except for the amplifier channel you are setting. Now turn the system on and place the test tone in repeat, and turn the head unit up to the max unclipped volume discovered in the previous step. 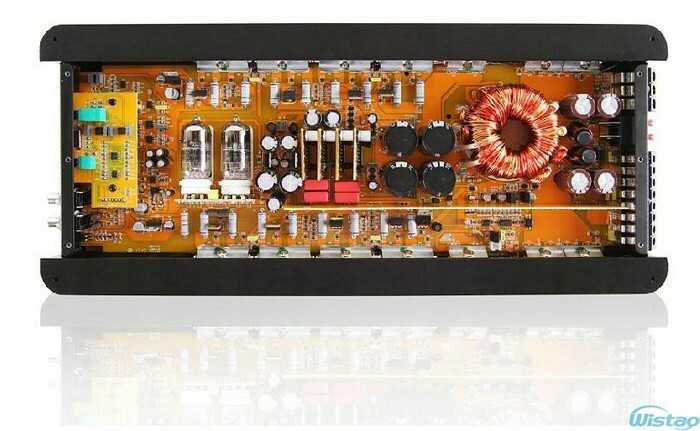 Move to the first amplifier gain control and SLOWLY turn it up until you hear the tone change quality like before. This step may get loud, so be prepared. Once you find the gain setting where clipping begins, slowly back it off until the clipping stops. This is your proper max gain setting for this amplifier channel. Leave it there. 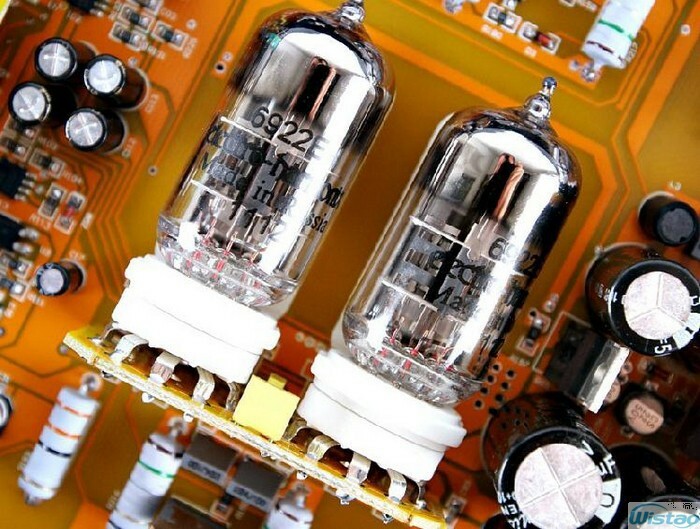 Now turn off the head unit and repeat the above step for all the other amplifier channels in your system. After setting all the gains you can enjoy your system. There is also a car audio amplifier with tubes 6992 as preamplifer, if you like warm tube taste. 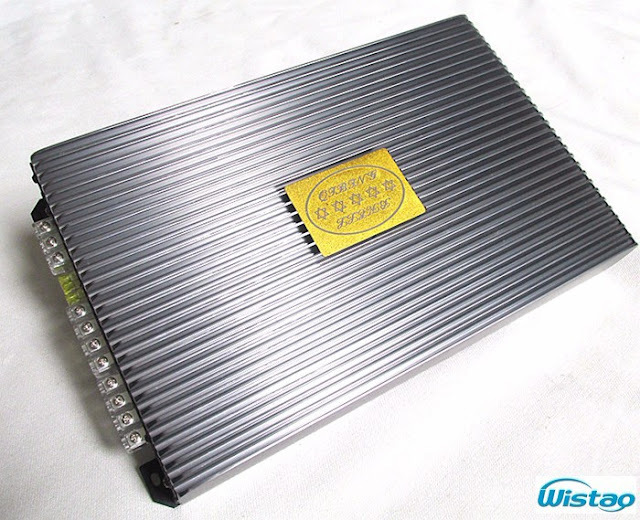 If you like the car audio amplifier, please visit the links for details.